Some of the more radical members of our student body founded a new club on campus last week. There are already 400 clubs at Stony Brook, but theirs is the first to represent what they feel is a criminally underserved portion of the student body. 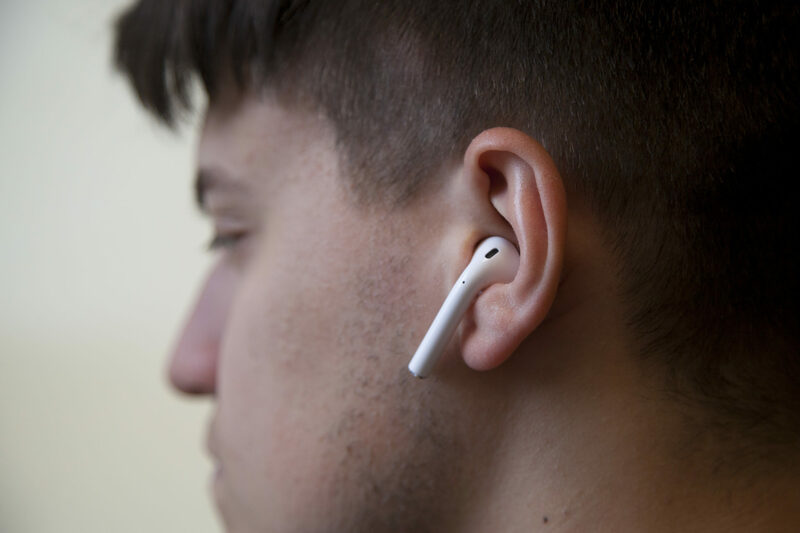 This new club, titled the Anti-AirPod Alliance (AAA), is a growing coalition against the adoption of AirPods among students on campus. The General Secretary of the Anti-AirPod Alliance, super senior biology major Jonathan Engelstein, laid his views out thusly in an interview that was shortened for brevity. I pretty much called it a day after that, but in the hopes of learning some actually relevant information about the club, I decided to canvas more members for some statements. “OUR NATIONAL ANTHEM IS POST MALONE’S ‘NO OPTION,’” senior political science major and AAA undersecretary, Xavier Richardson Alexios MacDonald, yelled in my face. I informed him that the club is not a nation-state and therefore cannot qualify for possession of a “national anthem” of any kind. Strong words were exchanged. After this brief back and forth, MacDonald’s eyes seemed to darken as he took on a more serious tone. MacDonald raised a finger to silence me as I prepared to interject. MacDonald glanced across the Staller steps where we spoke and saw a student with AirPods in their ears. Yelling “NEMOHOY MIMYOY,” he bolted to his prey and snatched their right pod, along with their right ear, from their head. The AAA undersecretary was hauled away by University Police within minutes, but not before a crowd of students gathered to hear his message. Perhaps some of those students will be swayed by his wild-eared beliefs. Change has started from stranger places. Mark this one as a developing story, folks.